Rated FFF Fabulous, Funky and .... Funey??? Hey White boy, don't gimme no jive. Go fetch Santa some Colt 45. Oh my god. 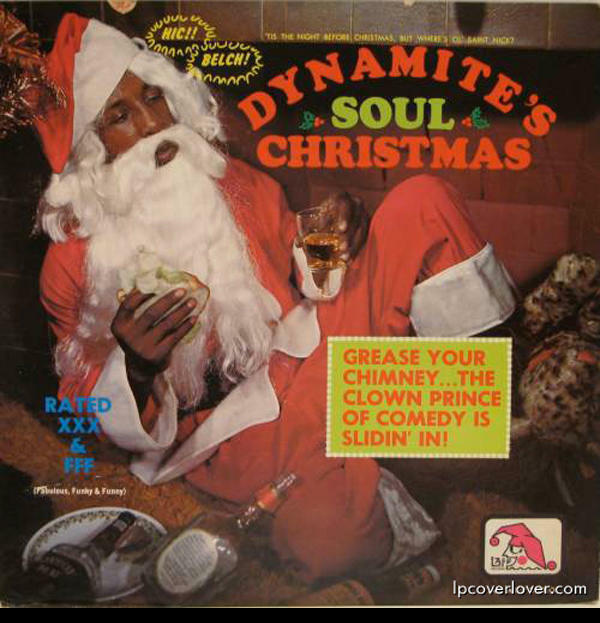 This is a concept album about black Santa stuffing kfc into all of the children's stockings isn't it? Why was 6 afraid of 7? Hey baby, have you ever been to Uranus? No? Well I am about to. On the Crysler PT Cruiser: "The front looks like a face. A friendly face from the land that gave us friendly fire."